Healthy and oil free Gujarati snacks. Khandvi is a popular Gujarati snack. Like Dhokla its also made with gram flour. It's tasty and is healthy too as it requires no oil for cooking. 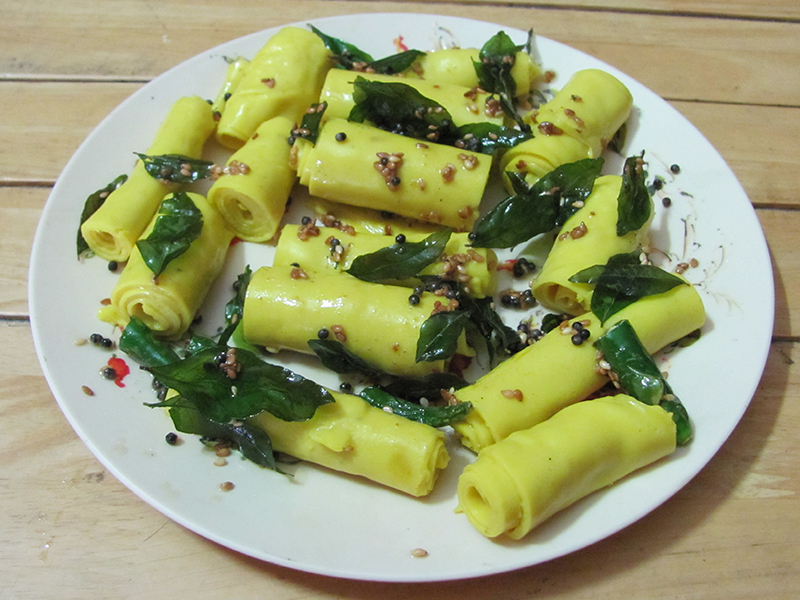 Khandvi is the traditional Gujarati snack recipe. 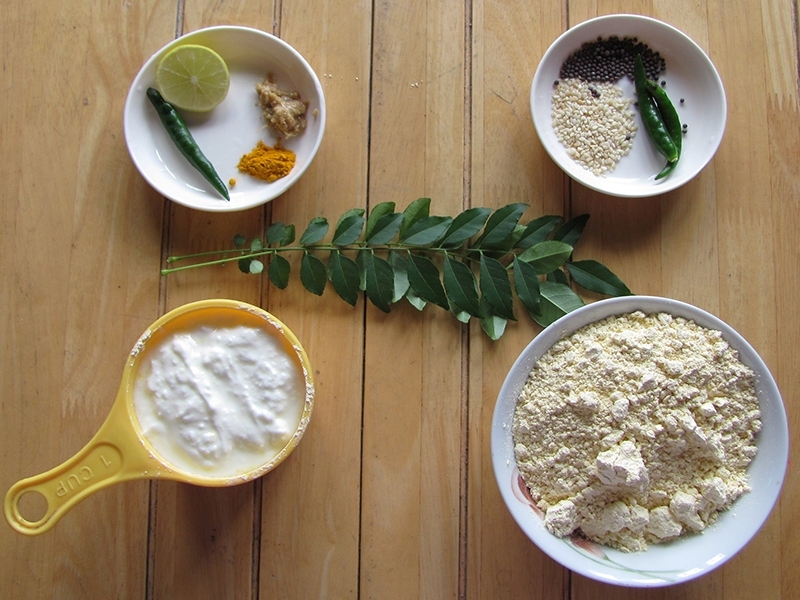 In a saucepan mix the gram flour, curd, water, salt, turmeric powder, ginger paste, green chilli paste and lemon juice. Make sure there are no lumps formed. Cook it on a low flame for about 10 minutes or till thick and glossy. Make sure to stir is constant or it may burn. Grease the bottom of the plate with oil. Put it onto the plate and spread it evenly with the help of a spatula. Cut it into broad strips and roll it out. Now in a small wok heat 1 tbsp oil. As soon as it crackles add the asafoetida, sesame seeds, curry leaves and green chillies. Sauté for a minute and pour it over the rolled Khandvi.